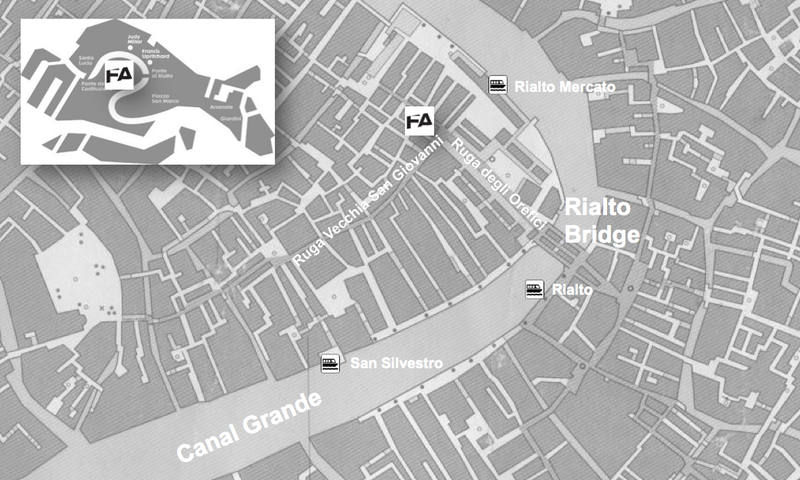 Join us in Venice on Friday June 6th from 11am for an informal discussion on the future of modernity after the death of Modernism at the Venice Observatory. Join us for the first FA Salon on June 6, an unsolicited get together on the occasion of the opening of the Venice Architecture Biennale with speakers from around the world reflecting on the Biennale and on architecture after the death of Modernism. Iwan Baan (photographer), Ethel Baraona Pohl (dpr-barcelona), Bernard Khoury (Curator of the National Pavilion of Bahrain), Aljoša Dekleva and Tina Gregorič (dekleva gregorič arhitekti), Bart Lootsma (Professor for Architectural Theory at the University in Innsbruck), Tarik Oualoulou (Curator of The National Pavilion of Morocco), Nanne de Ru (co-founder Powerhouse Company and director The Berlage), Azadeh Mashayekhi (Curator of the National Pavilion of Iran), Rory Hyde (Curator of contemporary architecture and urbanism at the V&A), Adina Hempel and Marco Sosa (Curatorial team of the National Pavilion of the United Arab Emirates), Todd Reisz (Editor of Al Manakh and visiting faculty member at Yale), John McLaughlin and Gary Boyd (Curators of the National Pavilion of Ireland). Modernism is dead, long live modernity! In most historical accounts, the date of the end of Modernism is often very precise. Many share Charles Jencks’s belief that Modernism ended with the demolition of the Pruitt-Igoe public housing project in St Louis on 16 March 1972, and for those that do not, only few assume it persisted any longer than the early 1970s. While Modernism in its purest form might have ‘died’ prematurely, the quest for modernity is still alive and kicking, and continues to shape the (architectural) world. The echo of Modernism haunts our urban age as large parts of the world are only now being modernized. Lessons from the past have been forgotten as globalization fuels a new wave of standardization. Every day a new Pruitt-Igoe is being erected around the world. Simultaneously, Modernism as an architectural style is making a comeback. Pioneers of the International Style and Structuralism are being hailed as long lost heroes. One of the core members of Team X is lauded at the Dutch Pavilion with the exhibition ‘Open: a Bakema Celebration‘. Hipsters have embraced Brutalism, Metabolism is rediscovered by eco-friendly architects, Constructivist icons serve as eye candy in the blogosphere. Is this trend only about aesthetics and have the ideals in 20th century architecture simply proven to be outdated? 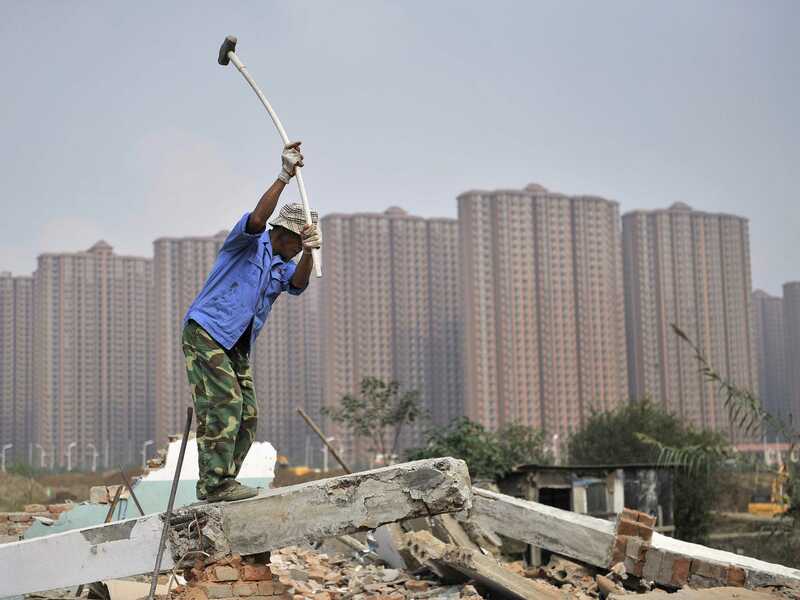 Worker wields a hammer at a demolition site in front of new residential buildings in Hefei, Anhui province of China. This year Koolhaas uses the Venice Architecture Biennale to critically review the Modern century. It will “look at histories, try to reconstruct how architecture finds itself in its current situation, and speculate on its future.” The central pavilion will focus on ‘Fundamentals’, architecture’s core elements — floor, ceiling, door, toilet, fireplace, etcetera — and the sense of loss Koolhaas sees in the decreasing variety in these typologies because of (architectural) globalisation. However, we ask ourselves, shouldn’t the ‘Fundamentals’ also consist of the intangible principles of architecture? If Koolhaas’s central pavilion does indeed focus purely on the formal elements of architecture, then what has happened to the fundamental underlying thoughts and ideology? Is a building suddenly just a structure comprised of ‘Fundamental’ physical elements, totally ignoring and disempowering the people who live in, occupy and reappropriate architecture? Is it no longer possible to retrace the social and political fundamentals in contemporary modernity? We recognise in Koolhaas’s deconstruction of the Modern a core problem in the construction of buildings and a major cause of Modernism’s failure — treated as formal elements arranged around each other from the inside out, buildings occupy a space first and justify themselves with their surroundings later. What about the political and moral stance a building (and, indeed, architecture) must assume in relation to its surroundings before its form is even considered? Focussing purely on the formal is an escape from the moral problems that architecture and modernity face. Koolhaas addresses the localisation: in the ‘Absorbing Modernity’ programme he has tasked the national pavilions at the Biennale with showcasing how architecture has evolved into a modern aesthetic, while local and national cultures persist. We applaud this. There are many different ‘modernities’, but a proper assessment requires taking into account social, political and economic circumstances. For us to expect the national pavilions to address moral ‘Fundamentals’ in architecture is perhaps overly optimistic; a new platform needs to explicitly address this gap. Our event, Salon #1 – Reclaiming Modernity, will focus on the ‘Fundamentals’ of architecture in the broadest sense through the local articulations of modernity. In reaction to the Biennale’s theme and title, we bring together leading and emerging voices from around the world to excavate the foundations of the Modern movement from different perspectives, both disciplinary and geographically. The event aims to recover the vital parts and ideals that lie hidden beneath the rubble of Modernism’s ruins. Modernity is about progress, but inherently carries destruction, including its own. While modernity is ongoing, Modernism was only an optimistic episode of it that ended sour. What can we learn from its downfall? Are some of its ‘Fundamentals’ worth retrieving to counterbalance current hyper-capitalist space making? And how can we apply the remnants of Modernism’s fruitful failures by perceiving them as productive dystopia? Should we reclaim Modernity by reconfiguring some of its destroyed parts? Salon #1 – Reclaiming Modernity serves as the launch of the first Failed Architecture Biennale, an ongoing exploration into the responsibilities of architecture in the 21st century by learning from past and current experiences and failures. The Salon will be a low-key and open discussion, welcoming everyone to join in. It is organised by the Failed Architecture Foundation in response to the Venice Architecture Biennale and is not part of the main event. Please note: due to the venue’s limited capacity, allowing a maximum of 70 people, we advise you to come early.